Part of the evening line up. 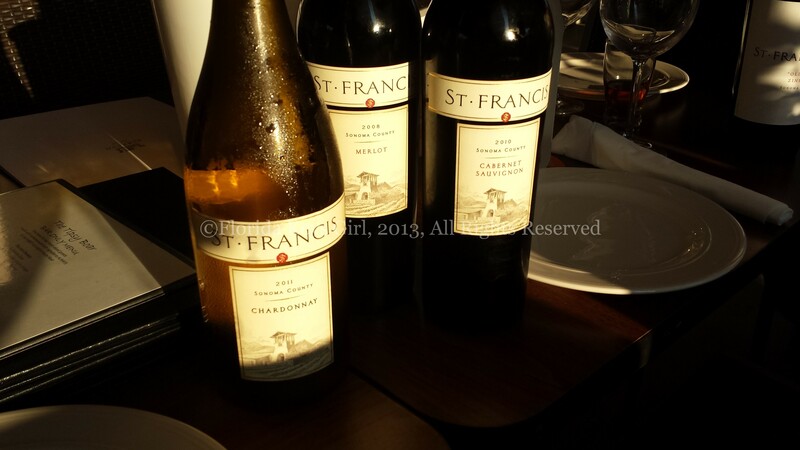 Last night I had the opportunity to chat with the winemaker from St. Francis. Katie Madigan has been there 13 years, and started as an assistant. I joked that she must have started when she was she was about 8, as she looks quite young. But her passion and drive were evident from the beginning. 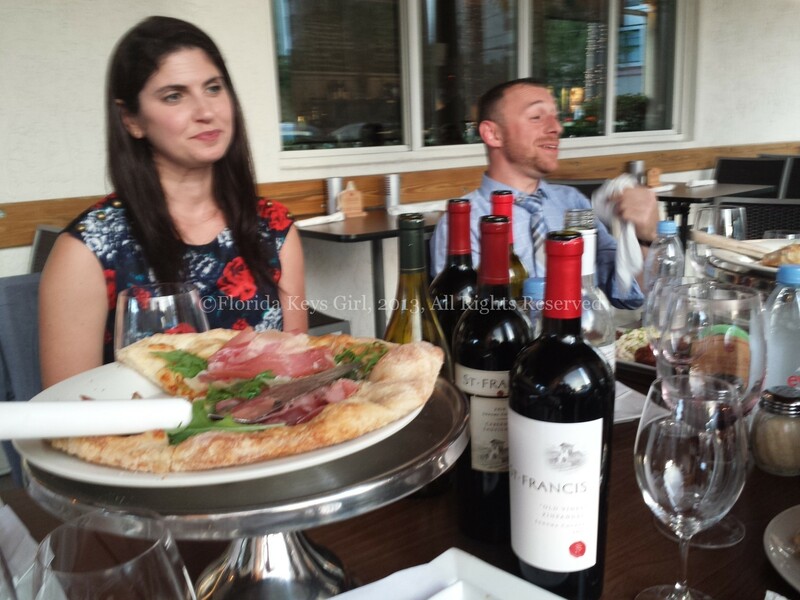 A few people gathered at the Tipsy Boar in downtown Hollywood for an informal tasting. Katie Madigan, Winemaker at St. Francis. I enjoyed many good bottles over the years, and I will say this: If you find restaurant wine lists to be intimidating or confusing, remember St. Francis. 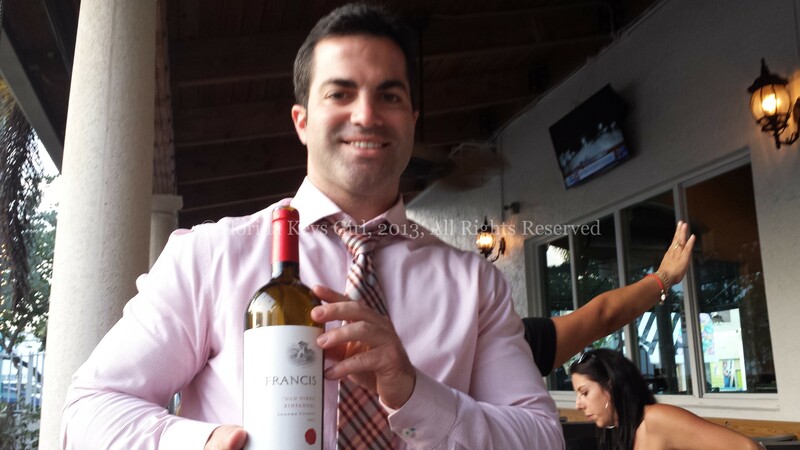 The wines are good, they are generally reasonably priced and you can’t go wrong ordering them. 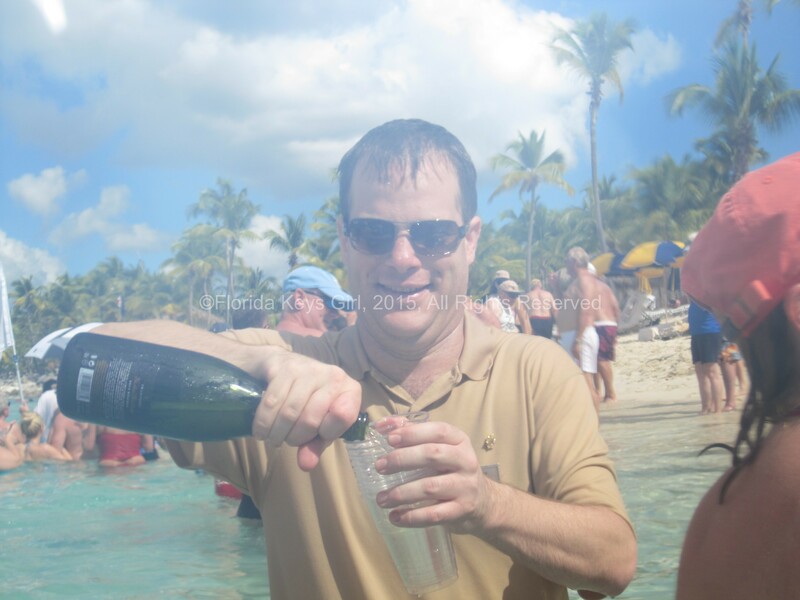 We tasted through six wines – from easy drinking by the pool wines, to wonderfully robust and flavorful wines. I have a few (barely-decipherable) notes. 2011 Chardonnay is a well-balanced wine. There is some oak, but not excessive, and has a good acidity level. The Chardonnay grapes are picked at night to retain acidity. Who knew? The 2012 White Splash blend was next. This is kind of a kitchen sink of wines, with four or five varietals, including Pinot Grigio for acidity and balance. This is a nice, easy drinking, sitting-by-the-pool wine. The Red Splash is also a blend of several varietals, can be served slightly chilled, and is also an easy drinking wine. Alex, pouring my favorite of the evening, the Old Vines Zinfandel. We enjoyed a 2010 Merlot, which is made entirely estate fruit (that is, grapes grown on their property), and is a wonderfully full-bodied, lush wine. If you are one of those people who stopped drinking Merlot after the movie Sideways came out, you should probably start again. This one is tasty. The 2010 Sonoma Coast Cabernet Sauvignon is aged in all French oak, but only 30-40% of it is new. It still had quite an oaky profile to me. My favorite of the bunch, however, is the Old Vines Zinfandel. All the grapes for this wine come from vines that are at least 50 years old, and some 100. It is a peppery glass of deliciousness, rich and full-bodied without being too in-your-face. Next post Getting a Bad Table: What Would You Do?